Give Mom something special to pamper and relax her this mother’s day. These unique Mother’s Day Gifts make a fun and different surprise for mom on her special day. Mothers Day is the day we set aside each year to show appreciation to our own mother and to the mothers in our lives that we love. Traditionally Mothers Day is the big “Flowers and Chocolate” day. While most moms do enjoy lovely flowers and chocolate, below are some ways that we can pamper mom with gifts and activities that she will remember for years to come. Mom will love a gift basket filled with an assortment of stress relieving goodies to pamper herself on Mothers Day or anytime she needs to relax. Some ideas of what you can include in her Spa Basket are scented bath gel, bath salts, body lotions, candles, eye pillow, bath pillow and bath brush. Moms love to record special events, especially those events that include special moments with their children. A journal is a great affordable gift where she can record her special thoughts and memories. You can take it a step further by giving her a scrapbook where she can also add pictures, fun borders, scrapbook embellishments and more to her written thoughts. This gift can last forever! Scented Candles are a really affordable and practical gift that any mom will love. Candles provide a relaxing mood and can help her to de-stress by providing memories of special events. A baby scented candle can remind her of when she first held you. A peppermint scented candle can bring back memories of Christmas you spent together. Candles come in many shapes, sizes and scents so you are sure to find one to remind mom of a special time you both shared together. Once you find a scent mom likes add a little note to the gift card of what special time you spent together the scent you chose represents. Treat mom to a “Clean House Day” where you clean her house from top to bottom while she spends her day relaxing and enjoying herself doing whatever it is she likes to do. Mommy and Me days are not just for mom and little ones anymore. You and mom can spend the day doing whatever is relaxing and enjoyable to you both. Having lunch or dinner together, watching a movie, going to the spa for massages and facials together, whatever she would like to do. The point is to give her the gift of knowing that you love her and enjoy spending quality time with her. Sometimes mom just needs a little time to get away from the everyday chores in life like cooking and cleaning the house. Send her on a date with dad to their favorite restaurant. Give the gift of good health to your mom this Mothers Day with a membership to a Yoga class. Yoga is great for relaxation and flexibility as well as being a fun way to get fit and stay fit. This tip is sometimes the most overlooked! We all love our moms but sometimes as we get older and get busy with our own lives we take mom for granted and forget the gift that is most important to her- US! Spend quality time with mom. Give her a big hug and tell her that you love and appreciate her. It’s a free gift and one that mom will love most off all. 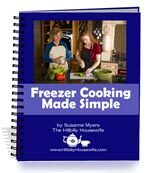 Want more crafts, recipes & ideas? Join our Newsletter. All subscribers will receive a free copy of our new e-book "Positive Parenting". Your information will never be shared, rented or sold. Do You Suffer From Working Mom Guilt?